Training soldiers is so much more than just ensuring they know how to operate their equipment; it’s also about making sure they are able to problem solve and critically think in high-stress situations. In this LVC Today roundup, Modern Military Training takes a look at industry news stories highlighting the adoption of technologies that power training programs to better equip soldiers on a mental and physical level. These stories include how the U.S. Army is utilizing synthetic environments to localize training and minimize disruption for troops, the appeal of combining VR, AR, and MR with biodata to minimize training fatigue, and a new program for the Australian Military that accurately measures problem-solving ability in high-pressure situations. Lt. General Mike Lundy addressed the increasing need for advanced synthetic training environments utilizing VR, AR and MR at last month’s AUSA Meeting and Exposition. In addition to the ability to train more soldiers at home stations and more local combat training centers, the advent of more sophisticated synthetic training environments allows for a broader spectrum of training scenarios. Elizabeth Lee at VOA News examined several different technologies emerging from the University of Southern California Institute for Creative Technologies (USC ICT) that could greatly benefit the U.S. military in the training arena. Through the use of VR, AR and MR, combined with biodata insights, training programs that maximize stamina for soldiers in training can be put into place. At the University of Southern California’s Global Body Computing Conference in Los Angeles, Lt. Col. Warren Cook of the U.S. Marine Corps supported these sentiments when he touched on the dangers of untreated soldier fatigue in training and how that can effect a branch’s effectiveness in theater. “We believe that’s a really different experience if you immerse somebody in a situation because you can read a story and say, ‘Well, this is how I would react or this is how I would act in that circumstance’ but until you’re actually in it, you really don’t know how you would behave. So the goal of this project was to really try and foster more active bystander participation,” said David Nelson, project manager of USC’s Mixed Reality Lab and creative director of the Mixed Reality Studio, according to Lee’s article. 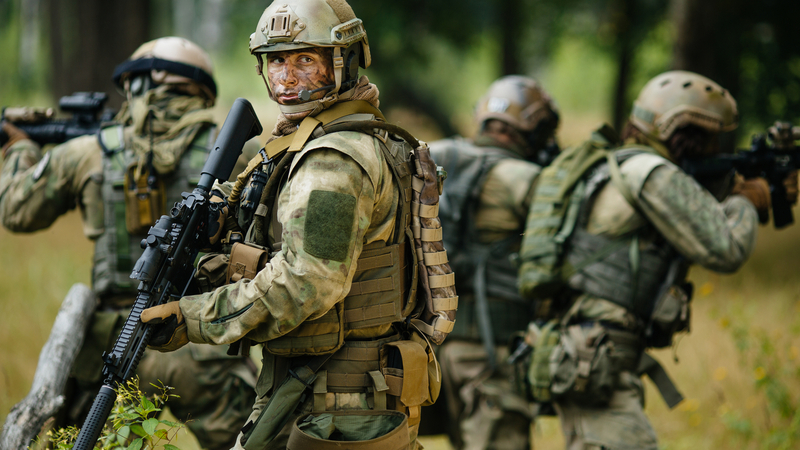 A new, VR-powered program designed for the Australian Military aims to help better equip soldiers for high-pressure situations they could possibly encounter in the field. By being able to more closely and accurately measure a soldier’s emotional resiliency in training situations, military leaders can more easily determine their ability to perform in theater.